Nine-year-old Sahr has seen more, and suffered more than a young girl ought to. The child and her family live in Akkar, Lebanon, having fled from the ongoing conflict in Syria. 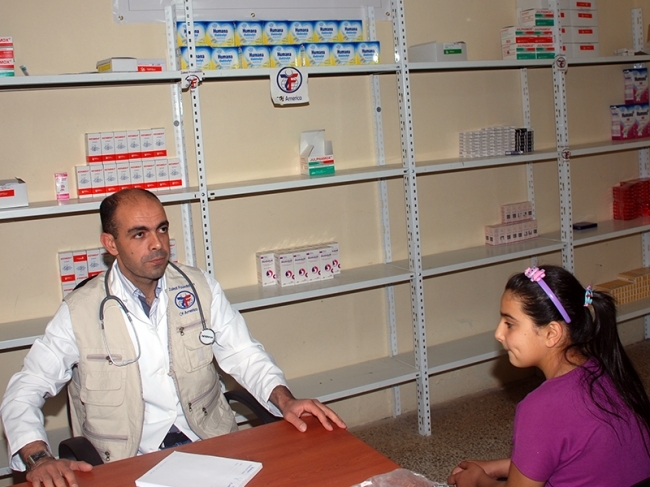 When Sahr went to the Zakat Foundation of America (ZF) clinic in Akkar she had been in pain for quite a while, but the cause of her pain was not the violence in her country. “Many many nights we have gone to bed without eating any dinner because our house is empty from food,” she confessed. For as long as the Syrian conflict lasts, ZF is committed to providing medical, food, housing and other humanitarian aid to the innocent victims whose lives have been turned upside down since the beginning of the fighting two and a half years ago. Your generous donation keeps the needed supplies flowing to young and old, refugees and internally displaced Syrians.